Kilimanjaro Tours is a family run business based in the UK and Tanzania, specialise in mountain climbs & treks on Mount Kilimanjaro and Mount Meru along with pre or post-trek safaris to the world renowned National Parks of Tanzania or the unspoilt beaches of Zanzibar. Clocked Web Development has designed and maintained Kilimanjaro Tours since 2011, including providing ongoing Search Engine Optimisation. 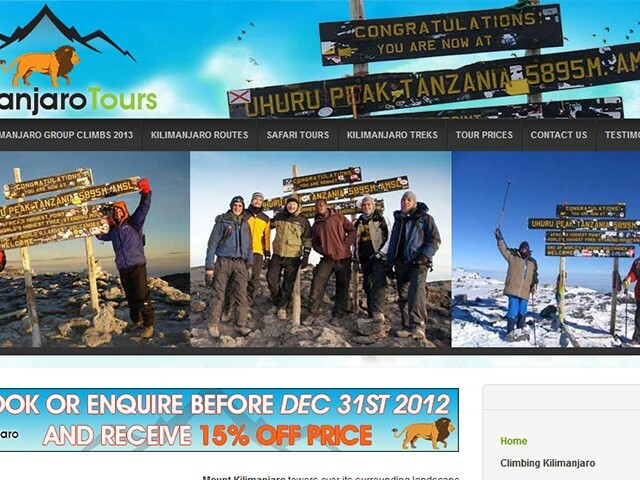 Kilimanjaro Tours is built on the WordPress CMS platform.